Probashbangla24 online Desk : The US Food and Drug Administration said on Tuesday it approved Pfizer Inc’s drug for an advanced form of breast cancer tied to an inherited gene mutation. The drug, talazoparib, belongs to a closely watched class of new medicines called PARP inhibitors, which block enzymes involved in repairing damaged DNA, thereby helping to kill cancer cells. The PARP market is currently dominated by AstraZeneca’s cancer drug Lynparza. 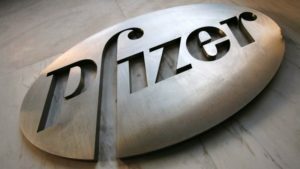 Talazoparib, a once-daily pill that Pfizer acquired with its $14 billion purchase of Medivation in 2016, is indicated for breast cancer triggered by mutation of BRCA genes, which accounts for 25-30 percent of hereditary breast cancers and 5-10 percent of all breast cancers.